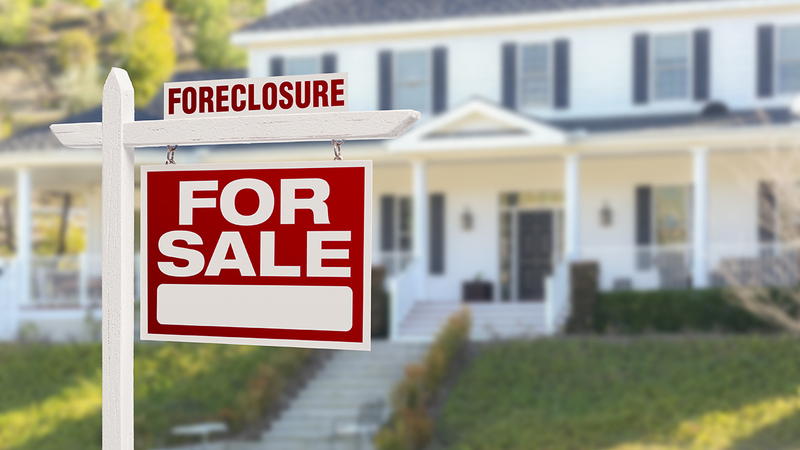 It is an unfortunate commentary, but when economic activity declines and housing activity decreases, more real property enters the foreclosure process. High interest rates and creative financing arrangements are also contributing factors. When prices are rapidly accelerating during a real estate “bonanza”, many people go to any lengths available to get into the market through investments in vacation homes, rental housing and trading up to more expensive properties. In some cases, this results in the taking on of high interest rate payments and second, third and even fourth deeds of trust. Many buyers anticipate that interest rates will drop and home prices will continue to escalate. It is possible that neither will occur and borrowers may be faced with large balloon payments becoming due. When payments cannot be met, the foreclosure process looms on the horizon. In the foreclosure process, one thing should be kept in mind: as a general rule, a lender would rather receive payments than receive a home due to a foreclosure. Lenders are not in the business of selling real estate and will often try to accommodate property owners who are having payment problems. The best plan is to contact the lender before payment problems arise. If monthly payments are too hefty, it may be that a lender will be able to make some alternative payment arrangements until the owner’s financial situation improves. Let’s say, however, that a property owner has missed payments and has not made any alternate arrangements with the lender. In this case, the lender may decide to begin the foreclosure process. Under such circumstances, the lender, whether a bank, savings and loan or private party, will request that the trustee, often a title company, file a notice of default with the county recorder’s office. A copy of the notice is mailed to the property owner. If the default is due to a balloon payment not being made when due, the lender can require full payment on the entire outstanding loan as the only way to cure the default. If the default is not cured, the lender may direct the trustee to sell the property at a public sale. In cases of a public sale, a notice of sale must be published in a local newspaper and posted in a public place, usually the courthouse, for three consecutive weeks. Once the notice of sale has been recorded, the property owner has until 5 days prior to the published sale date to bring the loan current. If the owner cures the default by making up the payments, the deed of trust will be reinstated and regular monthly payments will continue as before. After this time, it may still be possible for the property owner to work out a postponement on the sale with the lender. However, if no postponement is reached, the property goes on the block. At the sale, buyers must pay the amount of their bid in cash, cashier’s check or other instrument acceptable to the trustee. A lender may “credit bid” up to the amount of the obligation being foreclosed upon. With the recent attention given to foreclosure, there also has been corresponding interest in buying foreclosed properties. However, caveat emptor: buyer beware. Foreclosed properties are very likely to be burdened with overdue taxes, liens and clouded titles. A buyer should do his homework and ask a local title company for information concerning these outstanding liens and encumbrances. Title insurance may or may not be available following a foreclosure sale and various exceptions may be included in any title insurance policy issued to a buyer of a foreclosed property. Your local title company will be happy to provide additional information.